Inicio > Media > Last News > general > NEW WAREHOUSE EXPANSION COMPLETE! KALEIDO, Ideas & Logistics continues to invest in its integral logistics in Spain as the economy rebounds. 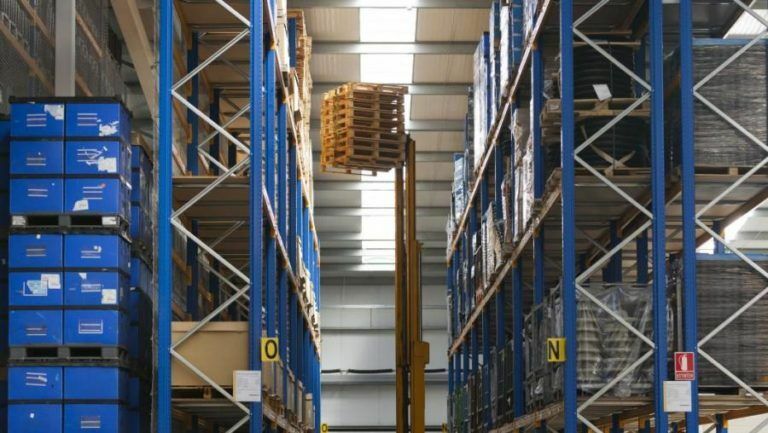 Due to the growing demand for supply chain management and added value service tasks, especially for items such as automotive parts, warehouse capacity has become tight, so KALEIDO is expanding operations. Valladares facility –located in one of the Vigo’s industrial areas- is still developing its potential after five years running with a new increase of 1,000-sq.mt warehouse. KALEIDO now offers more than 5,000 sq. mts of warehouse space and 16 loading and unloading docks to accommodate its customer’s needs. KALEIDO warehouse in Valladares features inventory management and control of palletized products, coordinating sea, air, rail or truck shipments, inbound and outbound order processing, bonded and fiscal warehousing, and plenty of added value services, such as bar-coding, re-packaging, kitting, labeling and quality control. Automotive and retailing logistics’ needs are one of the KALEIDO specializations, developing warehouse advanced systems worldwide supported by group offices in Spain, Portugal, Angola, Brazil, China and India apart from other countries, and linking it with the whole logistic chain looking for efficiencies under a lean point of view.